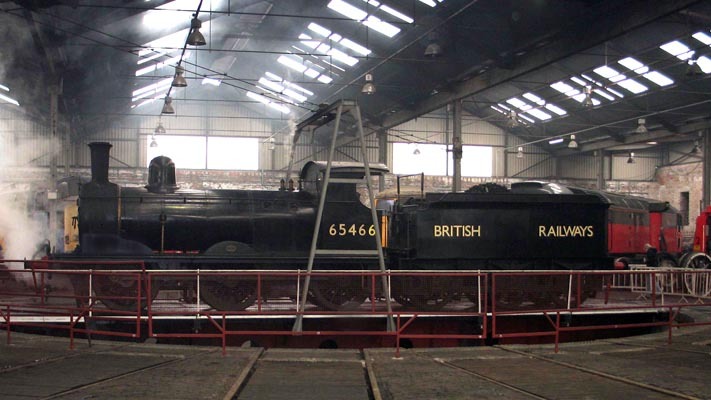 LNER J15 65466 in early British Railways black with the name in full inside the Barrow Hill round house on the turntable in 2005. 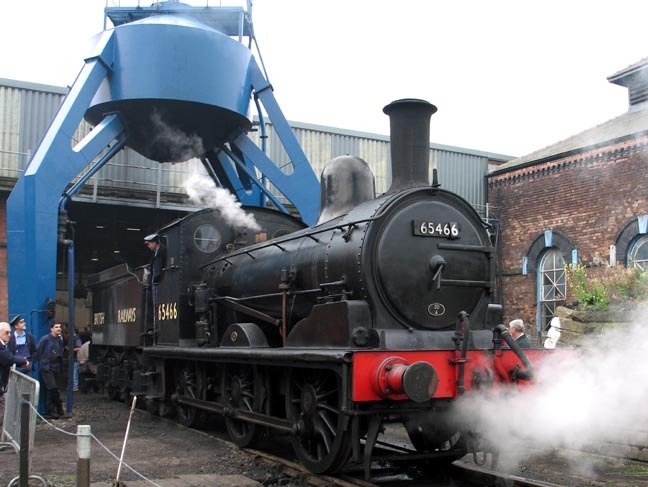 LNER J15 65466 in early British Railways black coming out of the roundhouse at Barrow Hill in 2005. Note the number 6 at the end changed from a 2 for this event I think.